15mm.co.uk: Tabletop 15mm Fantasy Re-Mastered Releases F25 and F65! Tabletop 15mm Fantasy Re-Mastered Releases F25 and F65! We are continuing our goal of bringing back to the fore classic 15mm fantasy codes from the 1980's and Tabletop Fantasy. This time its two of the lesser known ones but two that are well suited to evil fantasy armies. F25 Chaos Knight on Flying Reptile and F65 Orc on Young Dragon. 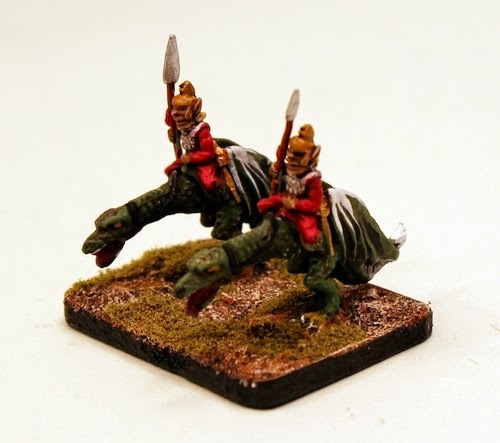 Packs of white metal miniatures and what is more we have listed the mounts separately so if you want a Young Dragon or a Flying Reptile for your army and plan to put a Human, Elf or Skeleton etc rider on them you can! Read on. 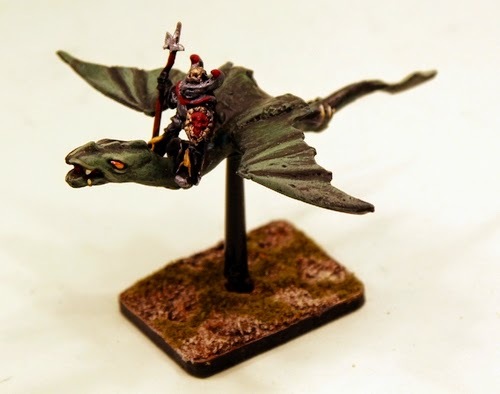 This white metal 15mm scale kit contains the wings and body of a flying reptile along with a Chaotic Knight to ride upon it. Requires assembly. When assembled the beast is about 50mm long and the same wide. Saddle is suitable for many different riders who are mounted on horses. Flying Base is supplied. Suitable for any wargame system. You can choose to purchase one pack or three packs with a 10% saving already applied. On the drop down menu you can also choose 'mount only' to purchase the reptile kit with flying base. 5.00GBP per pack. This pack contains four white metal pieces which are TWO Orc riders with spear and TWO Young Dragons. Requires Assembly. These miniatures are 25mm long and about the same tall assembled. Suitable for any wargame system. You can choose to purchase one pack or three packs with a 10% saving already applied. On the drop down menu you can also choose 'mount only' to purchase the reptile kit with flying base. 4.00GBP per pack. We have a sizeable amount of the TTF Range now on our website including Humans, Orcs, Dwarves, Undead, Centaurs, Monsters and Creatures. To see it all including the new releases go HERE.